Info: Created on 21st August 2013 . Last edited on 9th March 2014. 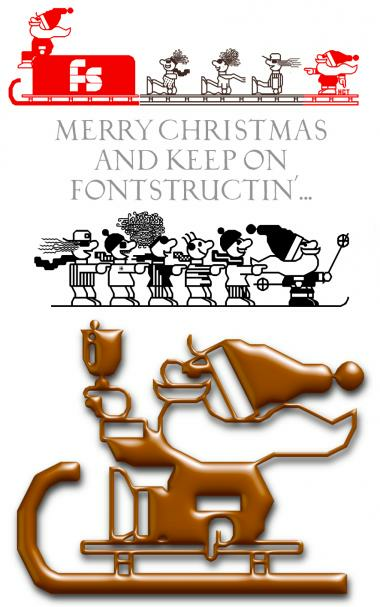 Here is a little christmas gift for all fontstructors. Earlier than planned I finished HCSnow. Skaters, snowboarders, sletters and Santa Clauses are fontstructed to give a smile. Hit 1-2-3-4-5-6.....9 for endless sledge. Congratulations! FontStruct Staff have deemed your FontStruction worthy of special mention. “HCSnow” is now a Top Pick. It's really a very funny font, I looove it; thanks for bring us this Xmas gift! And congrats for the TP too! Love the hairdos in the breeze! Great! So funny, the guy with the afro made me laugh.